The Law And Jake Wade. 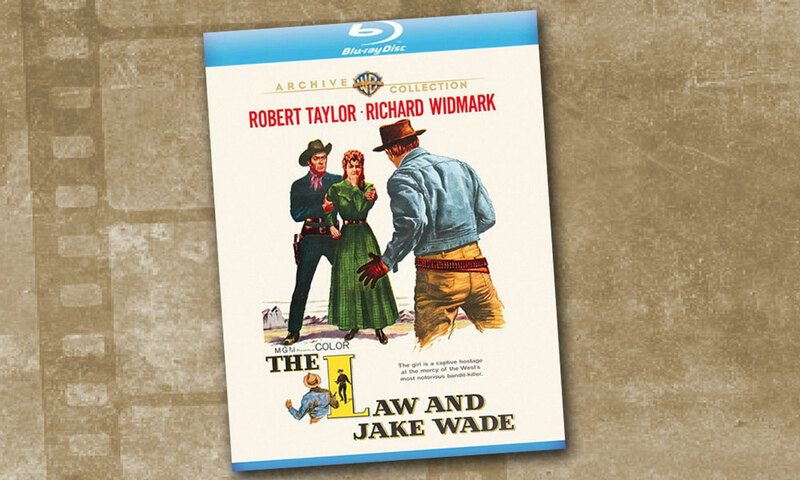 (Warner Archive Collection; $21.99). Outlaw-turned-marshal Jake Wade (Robert Taylor) figures he’s squared his debt to former accomplice Clint (Richard Widmark) by busting him out of jail just ahead of a noose. 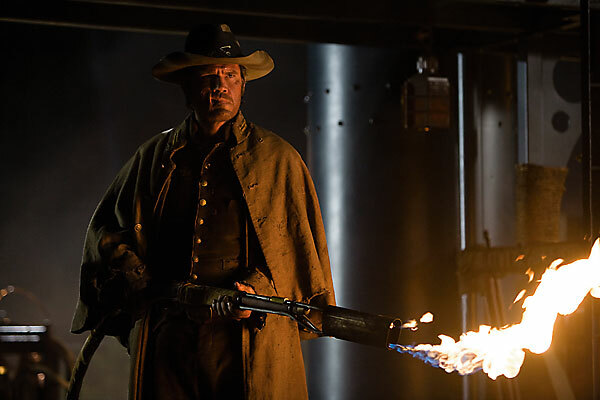 But Clint’s hurt feelings won’t be assuaged by anything short of Jake’s death—and the missing loot stashed in Comanche territory. Taylor, unbearably pretty in the 1930s, hardened admirably in this gritty John Sturges film shot spectacularly in California’s Lone Pine and Death Valley. 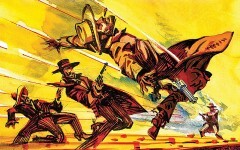 The 1958 classic Western on Blu-ray is sharper than the original theatrical release. A Dark Circus With a Western running through it. 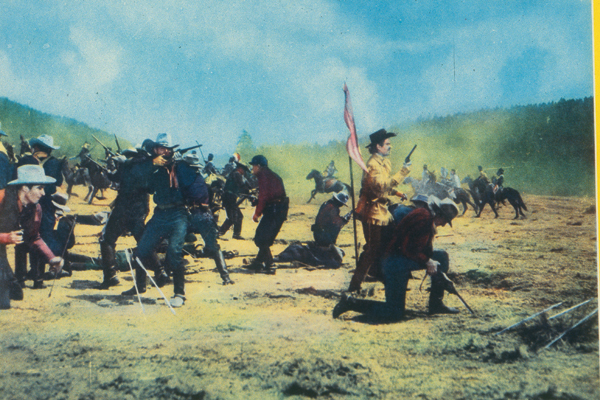 Custer’s Last Film Central Casting is still looking for Custer. Sergio’s Epic Open Once Upon a Time in the West, 1969.